Ken concentrates his practice in commercial and business litigation, including intellectual property and technology matters and consumer finance. 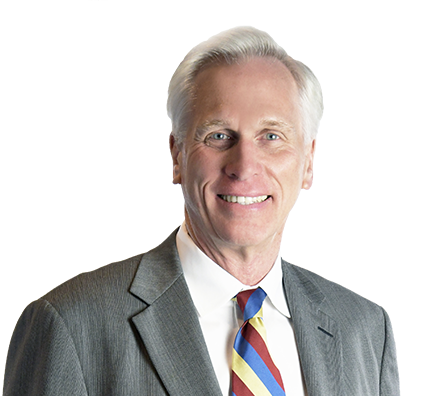 He has litigated cases in federal and state court and in various appellate courts, including the Wisconsin Court of Appeals, Wisconsin Supreme Court, the Seventh Circuit Court of Appeals and the Court of Appeals for the Federal Circuit. Ken has served as trial counsel and local counsel in numerous patent cases; trademark, trade dress and copyright litigation; and proceedings before the Trademark Trial and Appeal Board. Ken leverages his commercial and intellectual property litigation experience to draft and review client contracts such as license agreements, nondisclosure agreements (NDAs), master service agreements (MSAs) and purchase orders to minimize litigation risks. Ken’s consumer financial practice includes advising finance, lending and other companies on alleged violations of state and federal consumer credit protection laws, including the Wisconsin Consumer Act, the Truth in Lending Act, the Fair Debt Collection Practices Act, the Fair Credit Reporting Act, the Equal Credit Opportunity Act, mortgage banking regulations and lender licensing laws. Ken also serves as lead and local counsel in consumer credit class action litigation. Defeated a class action Fair Credit Reporting Act (FCRA) claim against a Native American tribe. Opposed the registration of a competitor’s product configuration mark on behalf of a major manufacturer. Obtained a jury verdict on behalf of a manufacturer of trucking equipment enforcing its patented technology against an industry competitor. Successfully resolved class action claims asserted against a lender client by a consumer class and the State of Wisconsin. Defeated efforts to certify a class in an action based on Wisconsin statutes regulating referral transactions. Obtained summary judgment on behalf of a construction equipment manufacturer dismissing a patent infringement action in the Eastern District of Texas commenced by a competitor. The court awarded our client attorneys’ fees. Successfully negotiated the resolution of indemnity claims asserted against our client software manufacturer arising out of non-practicing entity claims.